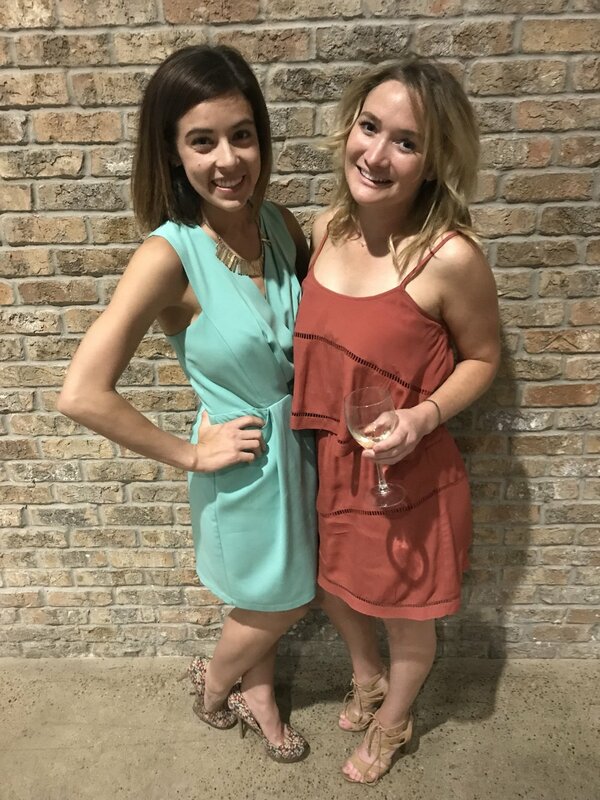 This weekend, I traveled to Austin, Texas for one of my sorority sister's (yes, believe it or not...I was in a sorority) weddings. I can't even begin to explain how much fun I had - between reuniting with so many of my college friends, exploring the city, eating tons, going out dancing and celebrating the love and marriage of two great people. It was a whirlwind weekend, and I can't wait to go back to explore even more. Austin is quickly becoming one of my favorite cities - following just behind Nashville and Chicago. So, in that vein...this week's Tuesday Ten is Austin-everything! Our first stop in the city was lunch at Elizabeth Street Cafe. 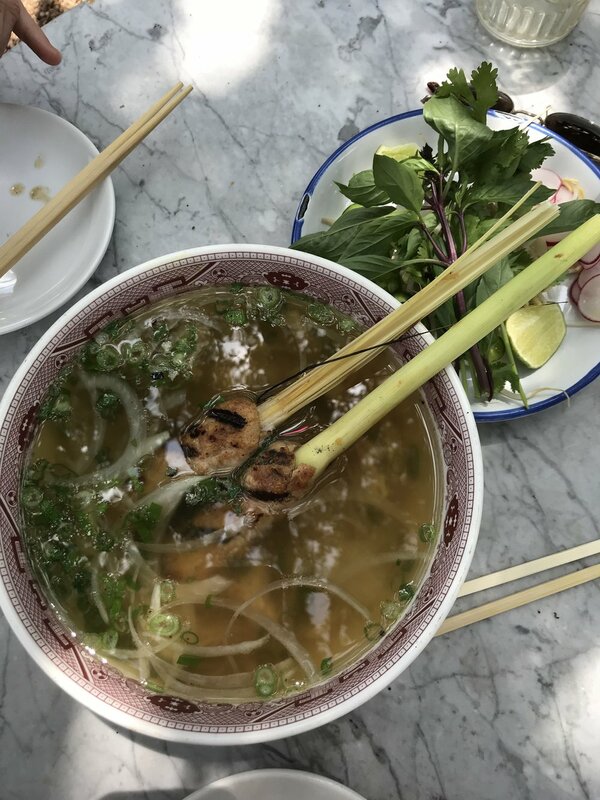 The cute Vietnamese + French restaurant was in a renovated house with a beautiful garden patio, where we sat among trees and ivied walls. For lunch, we opted to split lemongrass chicken pho and a traditional banh mi, along with some cocktails (I got a beet gin punch!). So much yum. I'd love to go back and sample some of the sweet treats and coffee, but I was far too full this time around! On Friday night, we headed out to Rainey Street in the heart of Austin for some nightlife fun. I'd only been to Rainey Street for dinner before, so I was excited to experience the bar scene this time around. We first stopped at Lucille Patio Lounge, a charming bar with a huge patio. The patio had tons of seating, walls covered in jasmine, string lights, hammocks and a corn hole set. Basically my dream backyard. At Lucille, I sipped on a jalapeño margarita - the perfect drink for a warm night spent with friends playing corn hole. Next up on our Rainey Street venture: Container Bar. This industrial-looking bar is made of various shipping containers with an open-air interior and a huge dance floor. The DJ played some solid dance classics, and we spent the remainder of the evening dancing! While I forgot how much I can't dance...I also forgot how much I love it and how fun it can be. At the bar, I opted for their Paloma (silver tequila, Jarritos grapefruit soda and lime). Yum! On Saturday morning, we headed to Tiny Boxwoods Austin for brunch. This happening space was super minimal and whitewashed, but featured a large patio with walls covered in lush greenery. We sat outside to soak up the sun while sipping on some much-needed iced coffee. After listening to a live ukulele artist, we opted to split Avocado Toast (citrus, salt, red pepper, tomatoes, honey, fried egg, bacon and homemade bread) and the Santa Barbara Bowl (açaí bowl with strawberries, blueberries, bananas and granola). Perfect fuel for a day full of exploring! Enough about what I ate and drank: here's what a bit of where we went. Both Friday and Saturday, we stopped by Blanton Museum of Art. Blanton is University of Texas' art museum that boasts an incredible collection of European, American and Latin American art. I was enamored with their permanent contemporary art collection, as well as their paper study collection. However, the biggest draw for me was "Austin," the monumental building and legacy of Ellsworth Kelly...and the special exhibition they hosted for all the preparatory work that fed into this piece. It was incredibly breathtaking, and I was happy to share the experience with Emily. I'll never understand why Austin's Lady Bird Lake is considered a "lake," when it's truly a river....but, that's an aside. On Saturday afternoon, we spent a few hours walking along the "lake's" bike & running path, looking for turtles, watching a regatta and admiring the stunning views of downtown buildings along the river. It was beautiful and green and the perfect way to spend a sunny afternoon (coffee in hand, of course). It wouldn't be a true Austin trip without a walk along South Congress, the city's popular drag. This street is lined with boutiques, galleries, restaurants, and a few famous murals. We spent some time poking through boutiques and resting at a coffee shop. It reminds me of a tamer, less-touristy version of Broadway in Nashville. I love San Diego, but lately, it's been relentlessly gloomy and bleak. So, you could say I was happy when we arrived in Austin to 80+ degree sunny weather. It felt like summer, and I was finally able to wear dresses and shorts comfortably. It's incredible what some vitamin D does for your mood! If you hadn't gathered by now - we ate a ton in Austin, and my body wasn't too pleased. Needless to say, I was super bloated. Yuck. So, when we began drinking, I started with some White Claw - hard seltzer. This was the perfect trick to break up some bloating. I recommend the Black Cherry flavor. I took my San Diego friend, Emily, to the wedding as my date. We got to mix and mingle with all of my old college friends, and it warmed my heart to have two phases of my life in one room - San Diego & Nashville. It was everything I loved coming together in a city that had my heart on lock. What are your favorite parts about Austin? Comment below!